We Produce Impactful Orthopedic Surgeon Marketing and Education Videos for Orthopedic Groups and Practices nationwide. At Green Gorilla Medical we produce Videos for Orthopedic Surgeons who rely on the web for new patients. Videos are a powerful marketing tool that convey both information and emotion. They help new patients in the doctor selection process to “meet you” before they ever meet you. 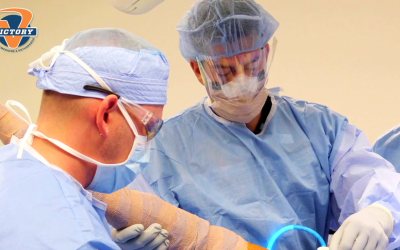 We specialize in VIDEO PRODUCTION for Orthopedic Surgeons of all types nationwide. Video Marketing for surgeons with specialties in Spine, Shoulder, Foot and Ankle, Hip, Knee, Sports Medicine and Joint Replacement is OUR SPECIALTY. We make getting your videos made easy and painless. Give us a call or message us today to find out about our current specials and promotions and get some FRESH NEW VIDEOS produced! 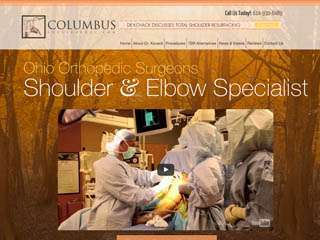 We offer VIDEO PRODUCTION and VIDEO MARKETING for Orthopedic Surgeons who rely on the web for new patients. Videos are a powerful marketing tool that convey both information and emotion. They help new patients in the doctor selection process to “meet you” before they ever meet you. We produce various types of videos for Orthopedic Surgeons. Our most popular Doctor Video is the “Welcome to Our Practice” video, which combines a warm welcome from you with highlights of the office experience. Other types include “Meet the Doctor” videos, “Medical Procedure” videos, “Office Tour” videos, “FAQ” videos, “Special Offer” videos and perhaps the most powerful videos of all – “Patient Success Story” videos! As an Orthopedic Surgeon there are many places to show-off your doctor videos. Of course there’s your website and blog, but don’t stop there! You can use them in Social Media campaigns on Facebook, Twitter, Linkedin, Pinterest and Instagram. You should post them in Online Directories like Google Places, Yahoo, Bing and Yelp. Additionally, you should embed them in online newsletters and email blasts to patients. 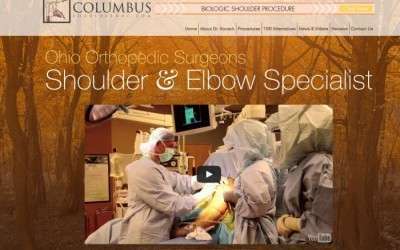 Our most requested video, this offers you a chance to introduce your Orthopedic Surgery practice to new patients. You and your staff can walk them through what to expect during their first visit. They get a feel for what sets your Orthopedic Surgery practice apart and also hear from a few testimonials. This overview video is perfect for highlighting your medical practice! This video is a perfect way to introduce yourself to new patients. 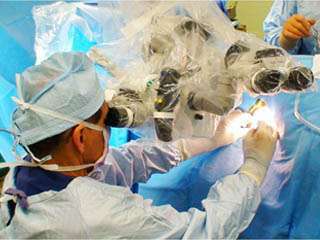 Focused on you, your background in Orthopedic Surgery and what makes you unique, it gives new patients a glimpse into your personality and passion for how you can help them look and feel better. There is power in an authentic patient testimonial from a real person about their real experience in your care. We interview your patients and have them talk about what they liked about having you for their Orthopedic Surgeon and how you’ve changed their life for the better. People love to watch a great testimonial! 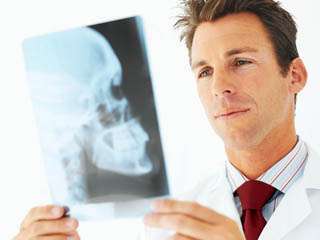 Explaining a medical procedure is usually best done with visuals. 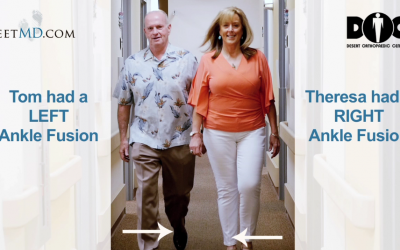 With this video you can describe an orthopedic procedure in more detail such as shoulder replacement or hip replacement and address patient questions and concerns about all aspects of the procedure. Great for Orthopedic Surgeons who want to help new patients feel more comfortable in their care. Answer questions that most new patients ask about your practice or address general questions about how to take care of themselves at home after a procedure. Do you want to get the word about something new you are offering? This video is great for generating buzz and interest in a new piece of equipment you use, a new associate in your practice or a special seasonal discount. The actual shoot time ranges from 2-4 hours in most cases. It depends on how many people we are interviewing. For the doctor interview plan for 30-45 minutes. Each staff person and testimonial will take about 15-30 minutes each. We will also need the doctor for action shots with each testimonials and that can take 5-10 minutes per testimonial. The average time to edit your videos is three weeks, however, we can expedite that if needed. How can I prepare for the video shoot? Will I own the videos? Yes. We will send you copies of your videos via DropBox and you are welcome to use them however you want. There are NO recurring fees. We do use all client videos for promotional purposes as well. Will you upload my videos to YouTube for me? Yes. We will need login information from you if you have your own channel already. If you don’t have your own channel we can set one up for a nominal fee. When do I pay for my videos? A 40% deposit is required at the initiation of your contract with us and to reserve your shoot date. The remaining balance is due upon completion of your videos and approval by you. Most of our clients pay us via PayPal. That is our preferred method, however, we also accept checks.